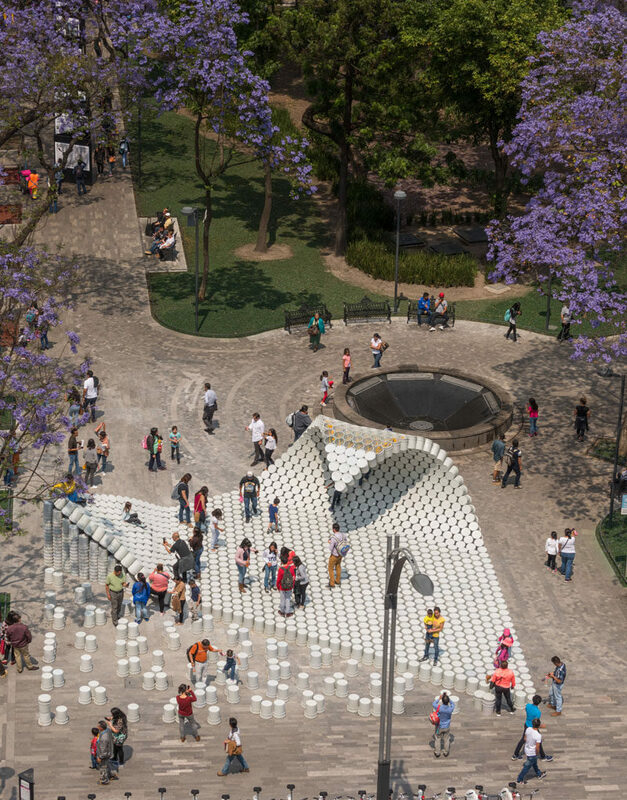 As part of Mexico City’s four-day architecture festival, Mextropoli, 5468796 Architecture, Factor Eficiencia and Studio NYL collaborated to design and create a public art pavilion called ‘One Bucket at a Time’. Using common painter’s buckets as builder’s blocks, the designers connected the buckets using a grid of ropes to hold them in place and to shape the pavilion. The surface functions like a giant carpet, and can be rolled, pulled together or up to a point. Buckets were chosen as the building material to represent the ‘street entrepreneurs’ ( or ‘viene viene’) that use buckets to claim a piece of the street, and charge hopeful drivers looking for a parking spot with an additional fee in exchange for access to their illegal stall. 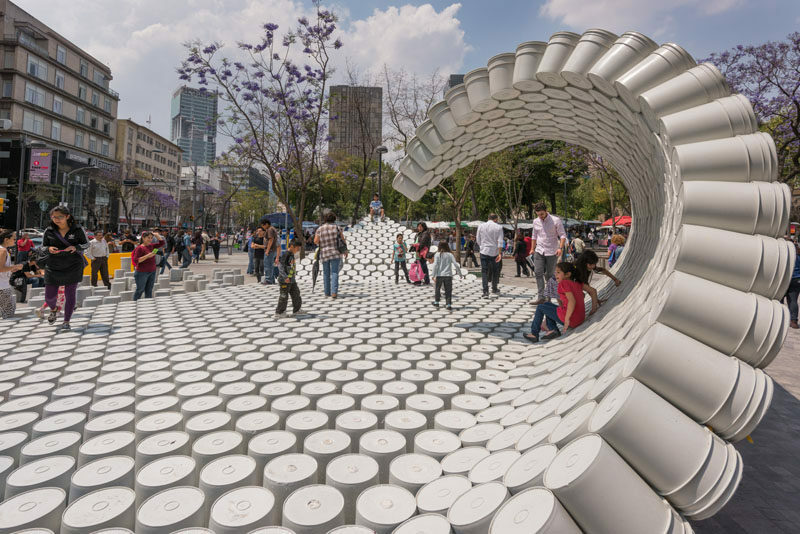 The end result is an interactive pavilion that invites people to explore the piece by sitting or playing on it.